Stake any coin on a single device. Simple and secure. More coins coming soon. Easily added through software updates. Depending on the coin, you can stake up to 3 coins at the same time. Run multiple staking wallets on a single device. With our easy to use Get-Started app you are staking in no time! Need some extra help? Our support team is on standby! Premium aluminium casing and a secure Linux operating system. 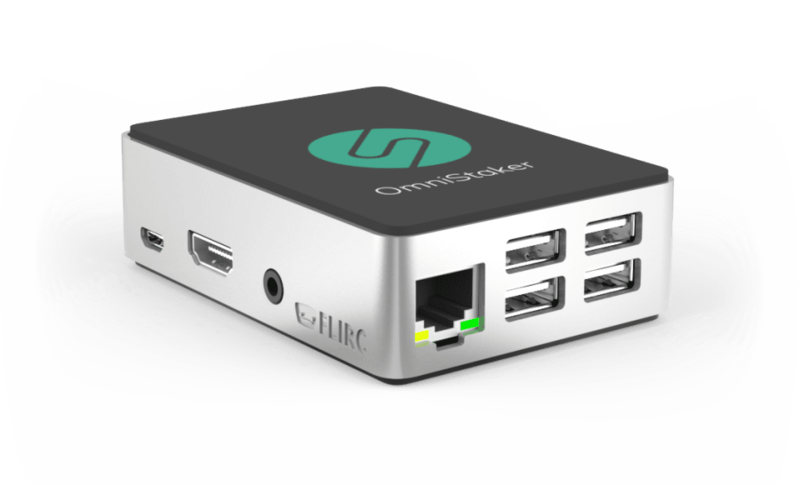 The OmniStaker runs on a Linux operating system. The device helps you set up your staking wallets with as little effort as possible. Every stakeable coin comes with a step-by-step guide to explain how you can get started. Still need a hand? We’re here to help.